HISA awards an annual conference scholarship in recognition of the continued service and passion to the health informatics sector by one of the founding members of HISA Joan Edgecumbe. 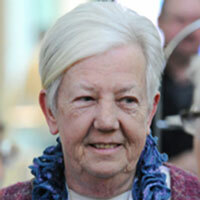 Over HISA’s 20 year history Mrs Edgecumbe occupied the role of Executive Officer, committee member and Board member, until her retirement in 2011. The Joan Edgecumbe Scholarship is designed to encourage undergraduate, graduate certificate, diploma, masters and PhD students who demonstrate commitment and promise in the field of health informatics to attend HIC. How to apply: Visit the awards page for criteria and entry details and apply by June 8.